Posted on September 26, 2017 September 30, 2017 by Heather W.
Fall’s filled with occasions to dress up, from themed birthday parties to outlandish autumn festivals. Naturally, Halloween’s the biggest dress-up event of the season. All of these special events can take a toll on your wallet, particularly if you’ve got multiple little ones to put in face paint and pumpkin hats! Here are a few tips to help you save money on costumes this season, whether they’re Halloween-related or others. As with shopping for most things, you can save money if you’re able to plan ahead and be on the hunt for sales. Shopping for costumes online is a good way to get higher quality items at better rates than what you’ll find if you leave it to the last minute in a cheesy party store. Do a search online for coupons or other discounts, particularly on social media, before you buy. Another option is to truly shop ahead to take advantage of post-Halloween discounts. If you buy your makeup and accessories a year in advance, you’ll save a bundle. Give old clothes new life. Most of us have old costumes tucked away in our closets and basements. Even if your children have outgrown them, there are probably bits and pieces that could be reworked into something new. For example, your child may have outgrown a Robin Hood costume but if there was a cape involved it could be incorporated into a new superhero costume. Buy costumes that can be reused. If you have kids, chances are that they get invited to a number of theme parties throughout the year. These can be fairly easy to predict – you’re bound to come across superhero or pop culture-themed parties at some point. While this tip may not save you money up front, it will help you save in the long run to think ahead to future events when you purchase Halloween costumes. Look for Funidelia Star Wars costumes or comic book characters that are likely to be used again and again. Even if you’re not super handy with a needle and thread, you can put together a number of costumes using nothing more than what’s already in your closet. If your children have basic black leggings and leotards, it’s easy to transform these into spider or black cat costumes. And transforming a white sheet into a ghost costume is practically a must! Naturally, you can put a bit more effort into it by browsing Pinterest or magazines for some more complicated and crafty ideas that can save money at the same time. Most moms are in the same boat when it comes to costume events, and with kids outgrowing their outfits rapidly it’s a shame to put good costumes to waste. You can solve this problem for your circle of friends by hosting a costume swap event. 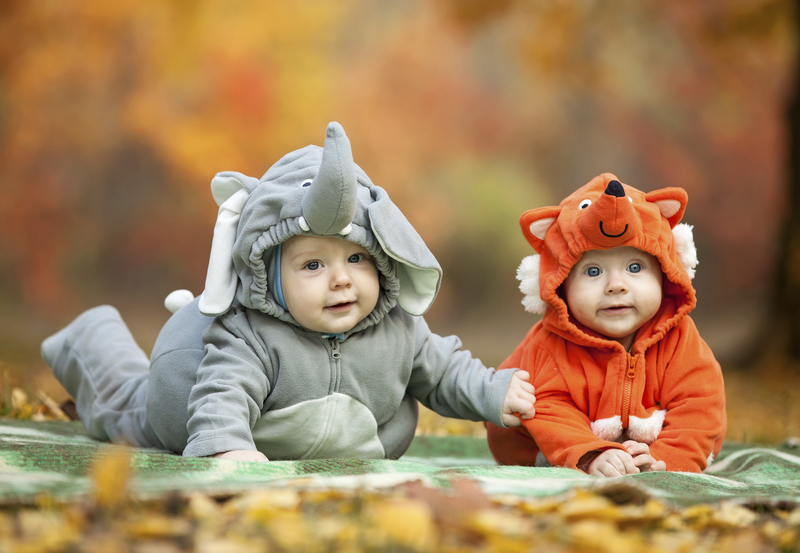 Get together over coffee and bring along all the costumes your children have outgrown. You can swap your old duds for some new ones this Halloween, or at the very least find a few fun new accessories to jazz up old looks. Great tips! With five kids, I have definitely DIY-ed and reused lots of costumes. I like to pick up pieces from Goodwill that I can up-cycle!